A friend of mine recently posted a list of his favourite albums. I read it, and thought “I can do that”, and then realized that quickly the list would get out of hand, because I have a LOT of music, and I’d list way too much stuff. So, I decided to do a list too, but change the parameter. This isn’t just a list of albums that I really like, or albums that are really good – heck one of them is downright embarrassing. There’s a million great albums out there, and I own a lot of them. Having said that, the albums here have some significance to my life. Either some personal connection, or after listening to them, it changed the kind of music I listened to in general. I also gave a little detail as to WHY. Why: This was the first album I ever bought by anyone anywhere, I believe I was 10 when I bought it. It’s pretty horrid now, but it WAS the first thing I bought, so I can’t really deny I did it. Thoughts on this now: The title song is somewhat tolerable in 2015. I also remember the song Muskrat Love by them, but that is a bad memory. I think I give the title song a pass because it honestly was the FIRST thing I ever bought. 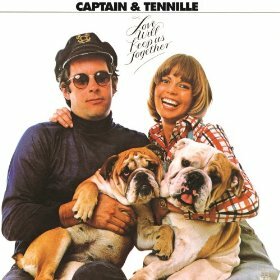 Random Fact: Toni Tennille actually sings on another song on this list. Given the connection, I’ll put it right after this one. Thoughts on this Now: This still retains a space of awesomeness with me. At the time it was new, it dominated my musical landscape like nothing else at the time, and little since. I bought the big box set remaster they put out in 2011, and saw Roger Waters do the show live in 2010 and 2012. It’s brilliant. Why: The first hard rock album I ever owned by any band. Was technically a Christmas present from another family member. This one more than any other changed my musical direction, as I didn’t listen to metal/hard rock before this. Before that it was disco, Star Trek stuff, and Capt & Tenille. haha. 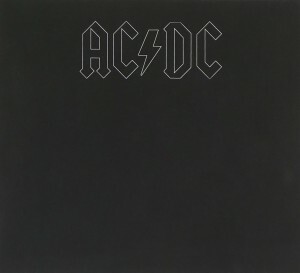 Thoughts Now: Since Back in Black, AC/DC have released a total of nine other studio albums. 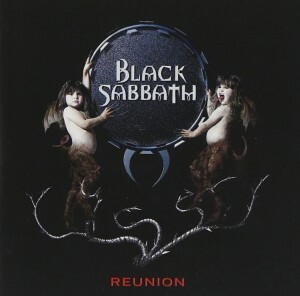 While there’s a lot of good songs in that time, none compared to Back in Black as a full album. This has proven to be their best album, and I doubt they’ll ever put out anything as good as this ever again. Why: The first Sabbath album I ever got. Saw the cover art in a magazine, and wondered “What kind of music goes with that”? Heard the opening riff to “Turn Up the Night”, and bang – was hooked. Tony Iommi’s guitar sound is like no other. It’s a decent album for sure, but not Black Sabbath’s best. Definitely not the best with Dio, as that’s the album before it, “Heaven & Hell”. 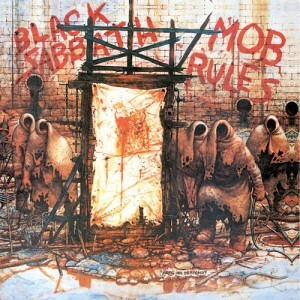 However, there is some really good stuff on Mob Rules. 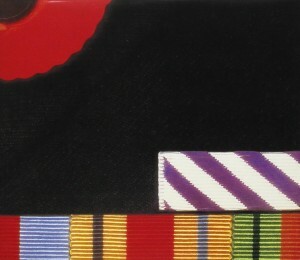 “The Sign of the Southern Cross”, “Falling off the Edge of the World”, and the underrated “Over and Over”. Thoughts Now: While it is still a good album, it’s not their best. I don’t reach for the album first anymore, but I still enjoy it when I do play it. 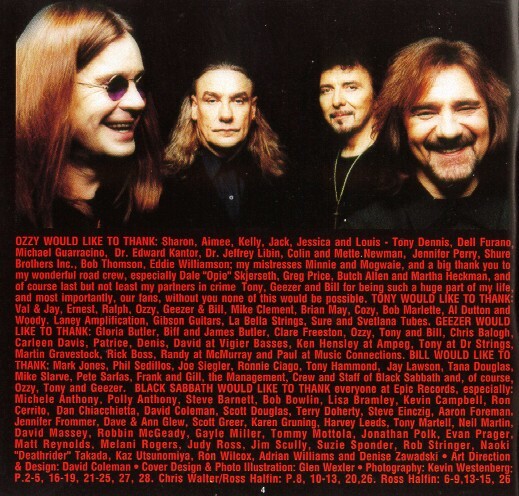 Why: The 1998 live Sabbath album was the first Sabbath album ever to have my name in the credits. A total mind blower for this fan. That’s pretty much it. It was technically the first official/legal live Black Sabbath album with Ozzy to come out (yeah, I know there were others, but they were unofficial). It’s an OK album, but I include it because it was the first (and not the last, btw) to have my name in the credits somewhere. Below is a picture of that. 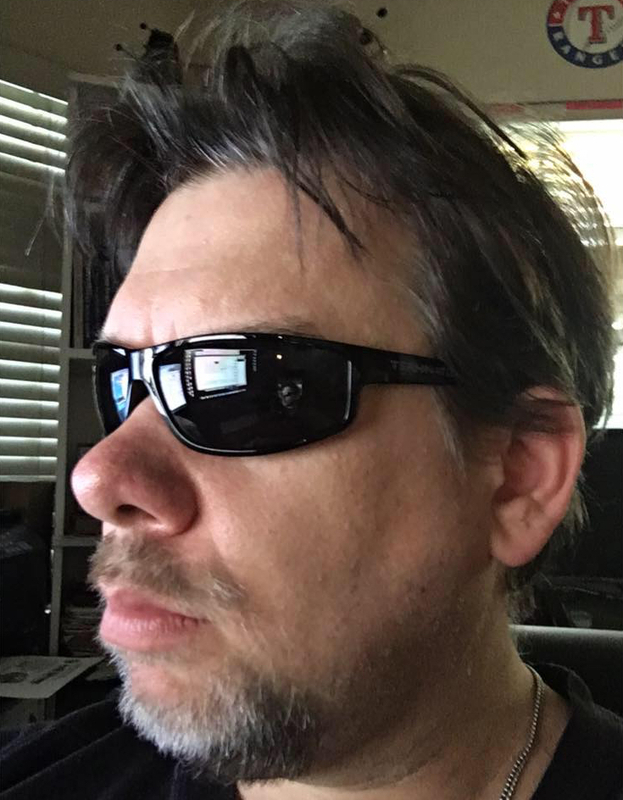 Why: My wife (then girlfriend) and I found out we did have a musical connection despite her liking junk like Depeche Mode, and my being mostly into metal. Thoughts Now: I far prefer latter U2 to their early stuff. I’m weird in that regard, because I know people like the Boy & Bad era stuff, songs like “I Will Follow”. I can’t stand that stuff. 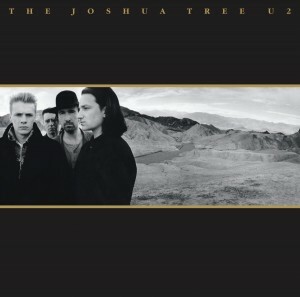 However, Joshua Tree was my onramp for U2. This is a really darned solid album, despite me preferring their more recent work. Why: A wonderfully depressing album, came out when I graduated high school, and I listened to honestly almost nothing else for three straight months in 1983. It is not for everyone, but the message there spoke to me. Was Waters talking mostly about missing his Daddy, which is a theme in his music, but on this album it was more direct. Why: The first contemporary Christian album I ever bought. Showed me that there was really cool Christian music out there, that it wasn’t all boring “message stuff”. This was really GREAT “message stuff”. 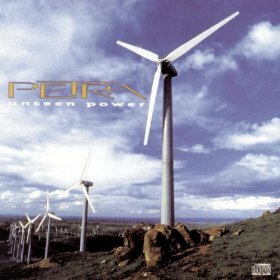 Thoughts Today: I remained a Petra fan, and have bought all of their albums since this one. They broke up for awhile, but got back together again, and I’ve also added a career spanning greatest hits, which covers the 10 or so albums they made before this one. Still like these guys. Have only seen them once, back in 1992, one of the last concerts before I moved to Texas. Why: My wife and I went to see Pat Benatar in Ft Worth in 2003, and that night we got to meet her and her husband/guitarist Neil Geraldo. Was a great concert, and they had the then unreleased “Go” album on the merch table. Given it was an hour drive home, we got to listen to the entire album on the drive back. So meet the artist, listen to the album, and attend the concert in one go. Only time I’ve ever done that. It’s clouded other concerts since then, since that was a “perfect artist experience”, I felt. Besides, the “Go” album is bloody awesome, it’s not like it’s a crap album. Listening to the album now brings back some great memories. Thoughts Today: This album has NOT diminished in power. It remains by far and away the best album that Pat & Neil have put out – and they’ve been around over 35 years now. It sadly remains the last studio album by Pat, and as I write this in 2015, it’s now 12 years old. I saw a remark from Neil Geraldo on their Facebook page this summer that implied they’re working on new material, but there’s no news. It is sadly out of print, and of all the albums on this page, it’s remained just as solid and awesome 10+ years later than the day I bought it. It’s awesome. Go find it – even if it’s not legal. It’s spectacular. My review of that concert is elsewhere on this blog, including a picture of myself and my wife when we met Pat backstage. I lied above when I said they’re in “no particular order”. This one is #1 on the list. By a long shot, too. Why: I was already into this band when this album came out in 1988, but this was an instant classic. I remember thinking at the time that they’d just written the best album they ever would, and 26 years later that statement has remained true. It INSTANTLY went to the top of the “desert island” album list, and has remained there ever since. If I could only listen to one album forever for the rest of my life, it’d probably be this one. They were once called “The Pink Floyd of Heavy Metal”, and this album certainly fits that description REALLY well. Thoughts Today: This is it. 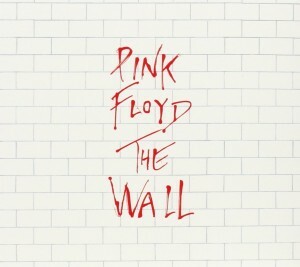 The #1 album I like more than any band and any album by anyone anywhere. This is that one album I’d pick if people say “if you could only listen to one album the rest of your life…” This album is all kinds of spectacular from front to back. No filler. No skip tracks. I cannot stress the utter brilliance of this album. It has diminished not one iota in all the years since it came out (which is closing in on 30 years). The band fractured in the early 2010’s, and they have a new lead singer now, but there’s no denying the power of this original. In fact, the former lead singer took the name of this album as the name of his new band (who had their first album in 2015). 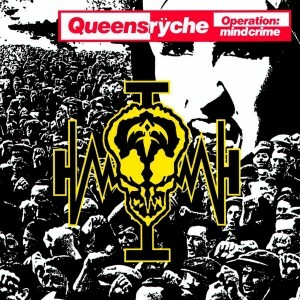 Queensryche did make a sequel to it 16 years after the fact, but it’s nowhere near as good as this original. If you don’t have this, and like metal, go buy it. As I write this, Amazon.com is selling the physical CD for just $5.99 – click on the cover art. You won’t be sorry.